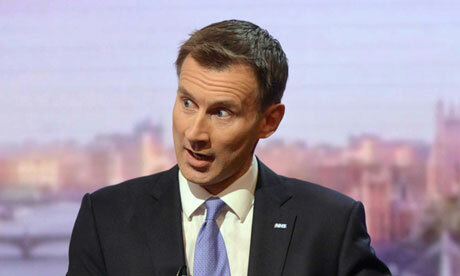 Jeremy *unt shining a light up his own a**e.
GovWatch: You dirty little ****** Jeremy. I am summoning you to my office after school this afternoon so we can have a ‘talk’ about what you are up to. The school’s had several telephone calls today from irate parents who are worried that you are indeed teaching their offspring about matters which are normally left to be ironed out in the family home. This entry was posted in A&E Closures, Albans Activist, Berkhamstead Blogger, Bilderbergers, Bullingdon Bureaucrats, Cockroaches, Collective Action, ConDem Health and Social Welfare Bill 2012, Death Dealers, Drugs Just Another Elite Weapon/Control Mechanism, Economy Train Wreck, Election 2015, FibDems, Fox News, Frequencies Resonating, Getting Away With Murder, Government Fraud, Hidden Economy, How to Identify Tories, Independent Media, KONP, Lightwork, Lobbysters, Media and Cultcha, Men of Non-Business, Money Matters, NHA Party, NHS, People's Assembly, PIE, Presstitutes, Privatisation, Psychopaths, Social Engineering, Spin Spin Spin, SuspiciousObservers, Telegraph, The Bottomleys, The Importance of Being Awkward - Tam Dalyell, Tories Shafting Business Right and Left, Tory Party 2015 General Election Team, Truth Movement, UK Column, Uncategorized, Various Suspicious Operations, Watford Coalition of Resistance, Zionists and tagged Andy Burnham, Camalot's NHS Selling Committee - The Real Strategy, David Cameron, David Nicholson, Department of Health, Health, Jeremy *unt shining a light up his own a**e., Jeremy Hunt, Member of Parliament, National Health Service, NHS trust, Secretary of State for Health, telegraph Jeremy-Hunt-New-hospital-inspections-will-shine-a-light-into-dark-recesses-of-the-NHS, The Slog examines The Influence of Jeremy's Cousin Virginia Bottomley - not forgetting Peter of Elm Guest House fame allegedly, You dirty little ****** Jeremy.. Bookmark the permalink.